The Asian Kisu restaurant (Kiss in Japanese), located in Tel Aviv was decorated by Studio Yaron Tal, interior design firm used to revitalise spaces that express harmony over time, using cultural parameters that adapt to the spirit of the time. In this project, every wall in the restaurant gives a glimpse of the mysterious Japanese culture. 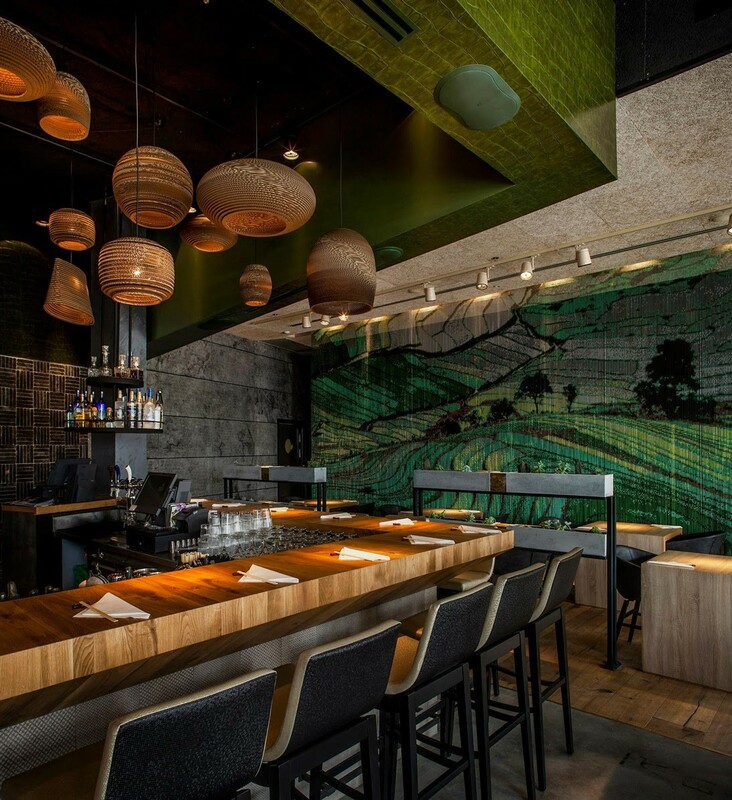 Among other details, next to the bar we can find a Kriskadecor wallcovering solution of 8 x 3,50 meters with a printed image of a rice field. Also, above the bar hangs decorative light fixtures made from cardboard that look like Japanese candles with warm light.